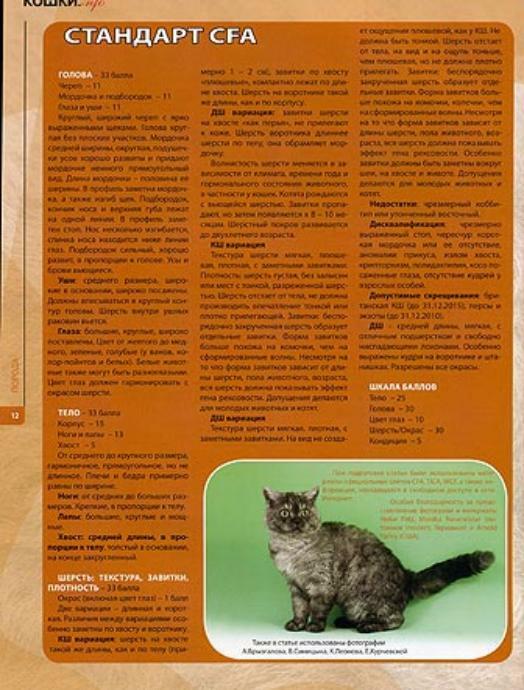 Insider Manfred appears in Russian Magazine twice in one month. 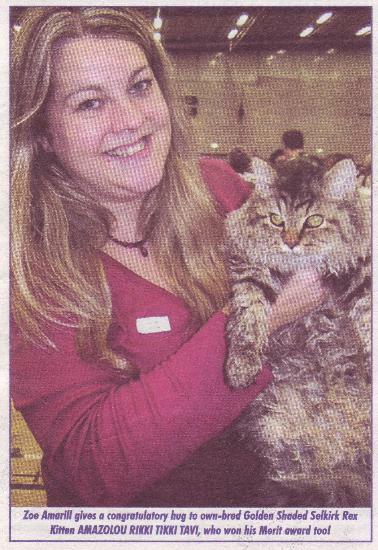 and Neuter Show in July 2007. 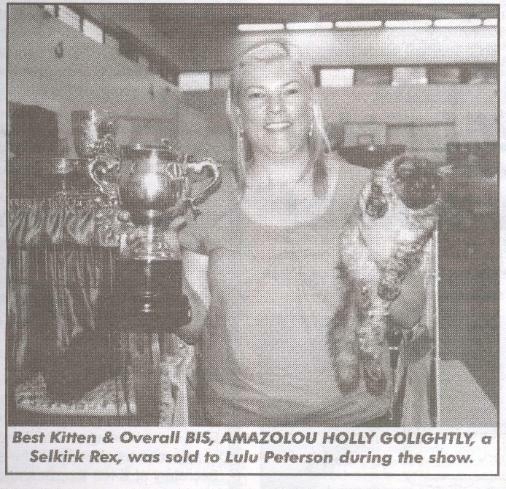 Lisa Peterson now lives with Holly in Australia. 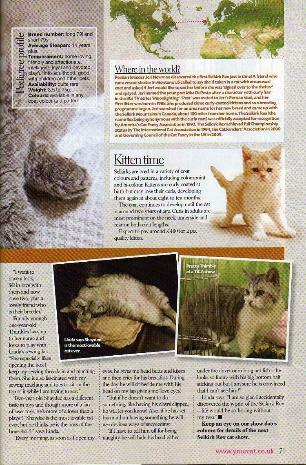 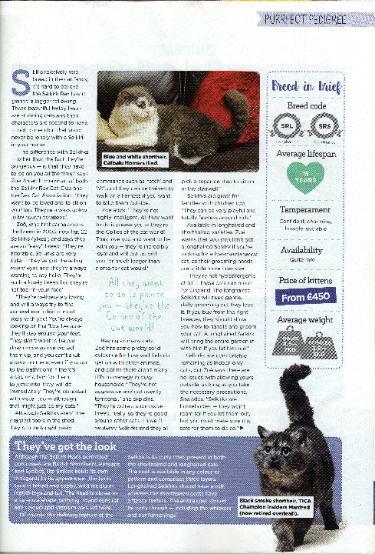 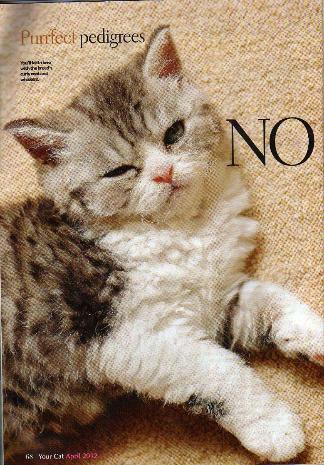 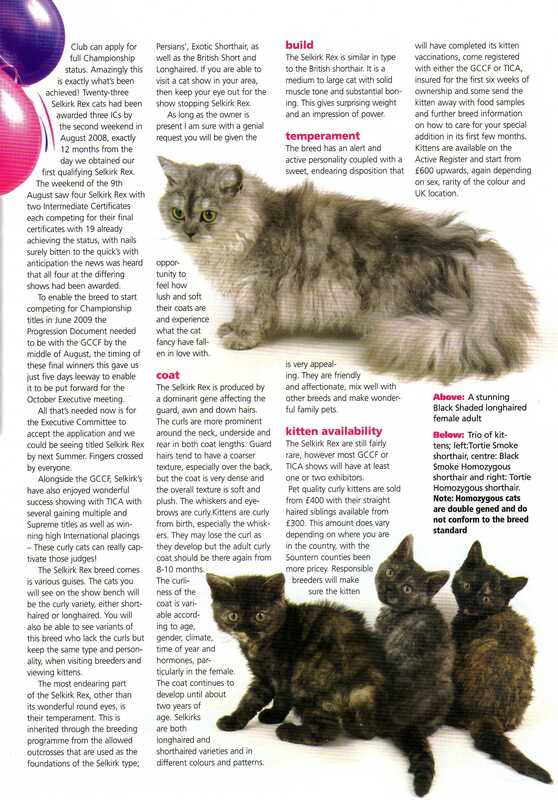 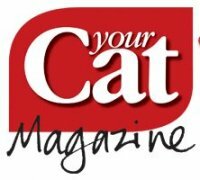 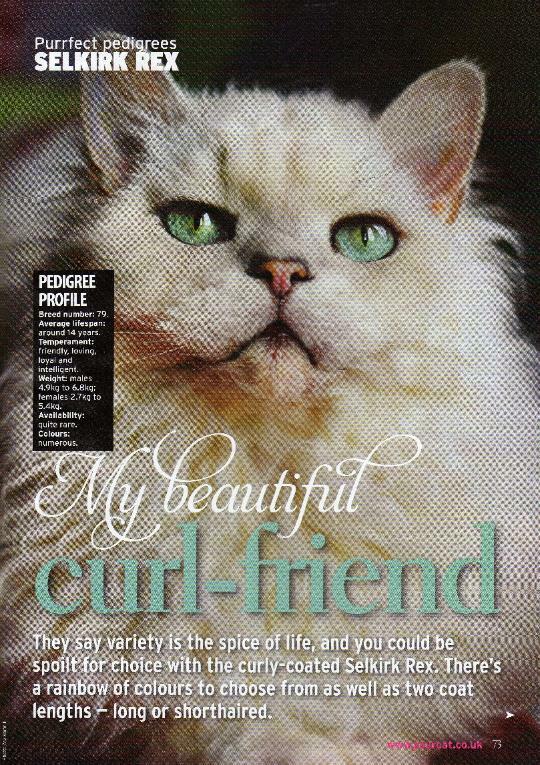 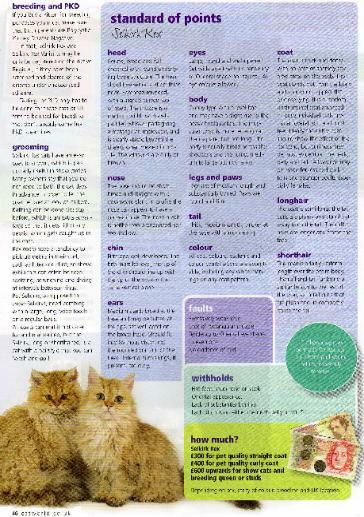 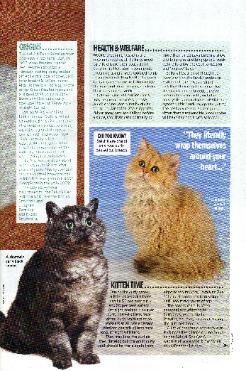 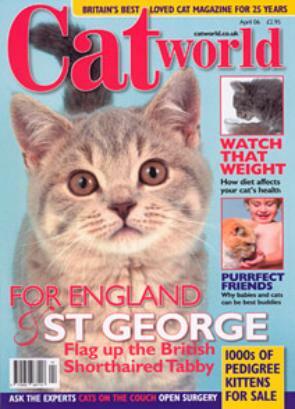 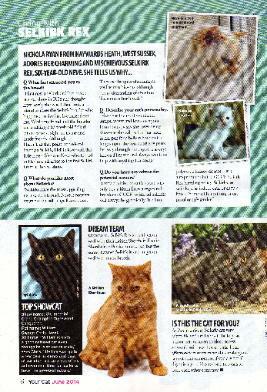 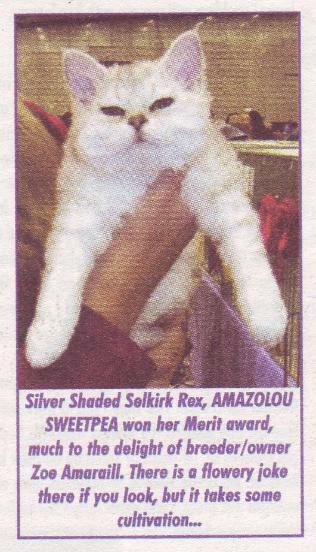 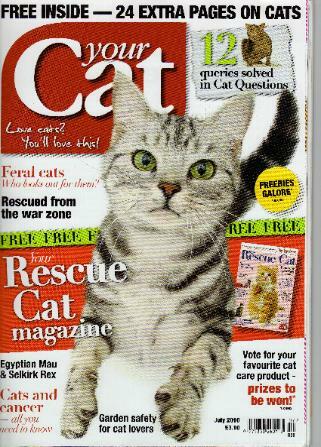 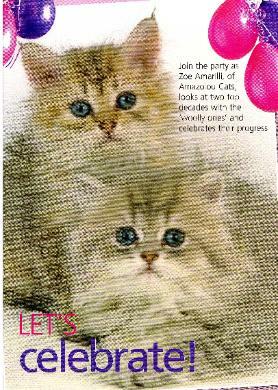 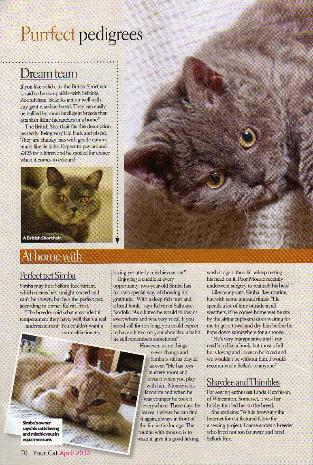 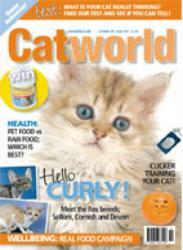 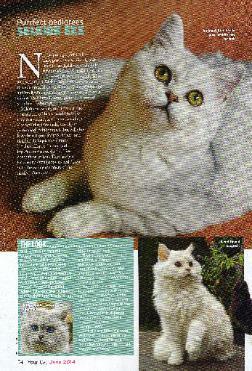 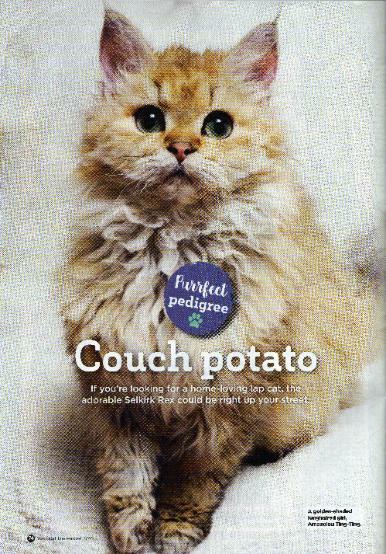 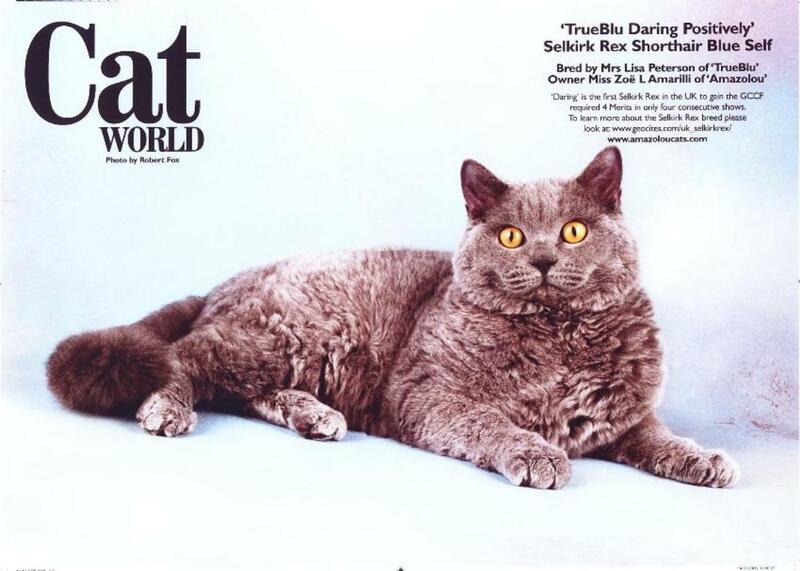 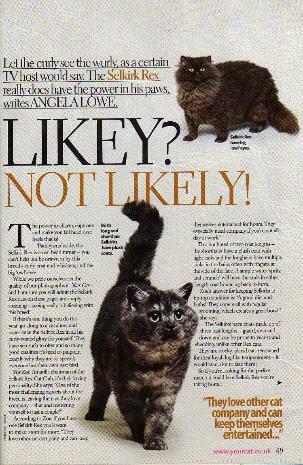 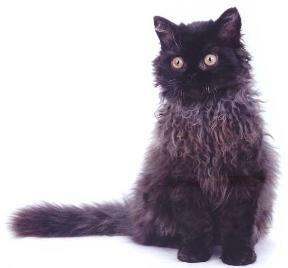 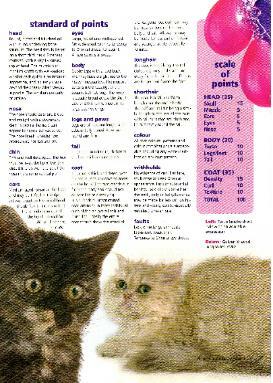 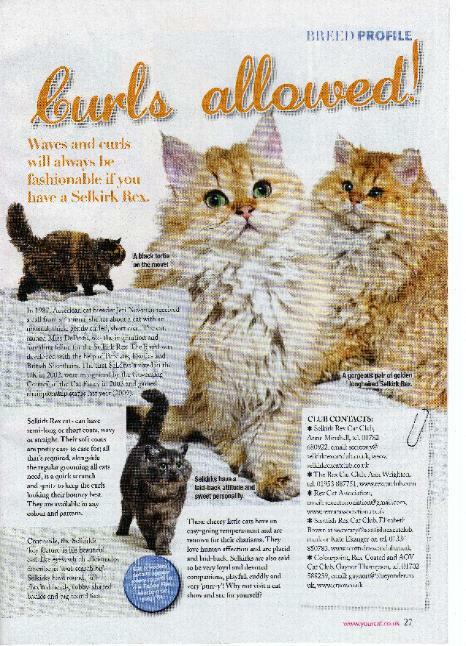 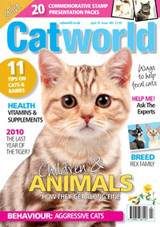 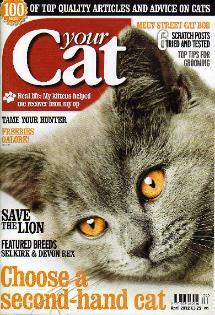 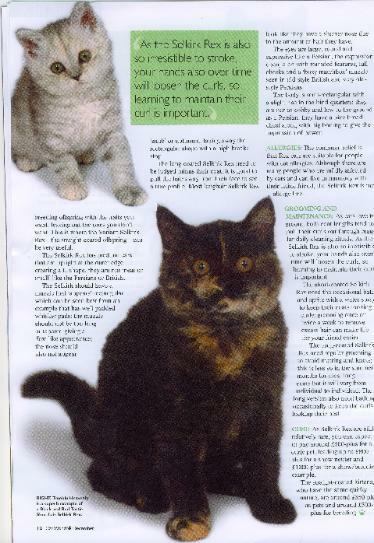 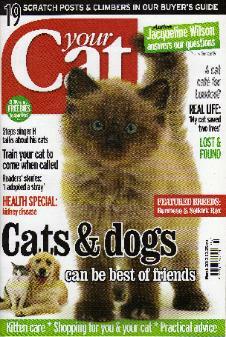 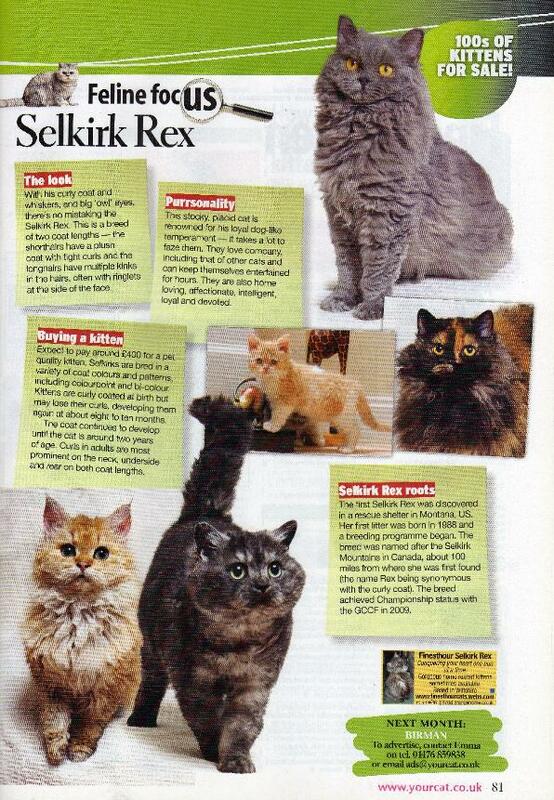 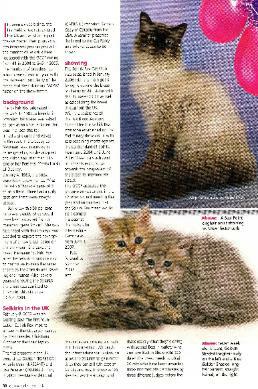 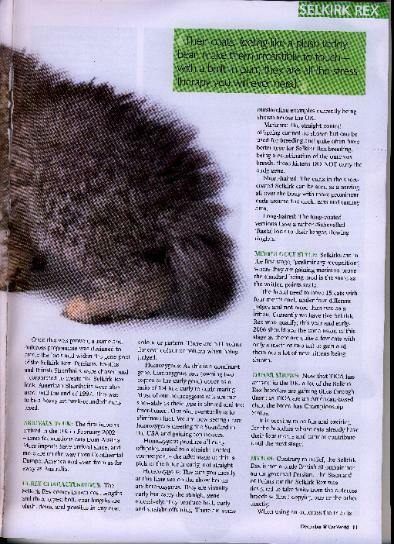 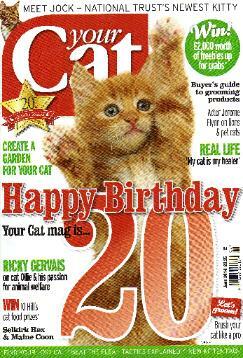 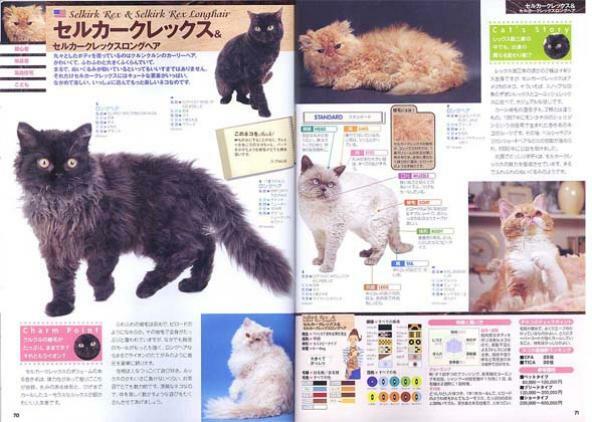 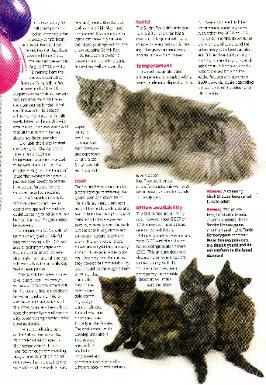 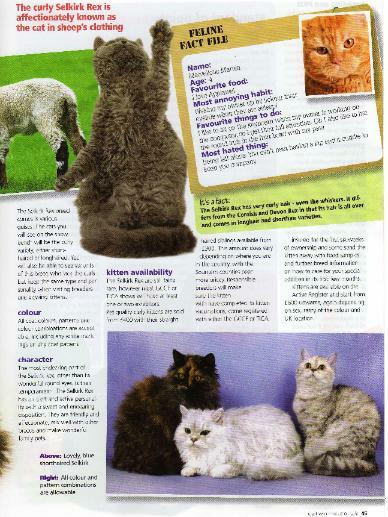 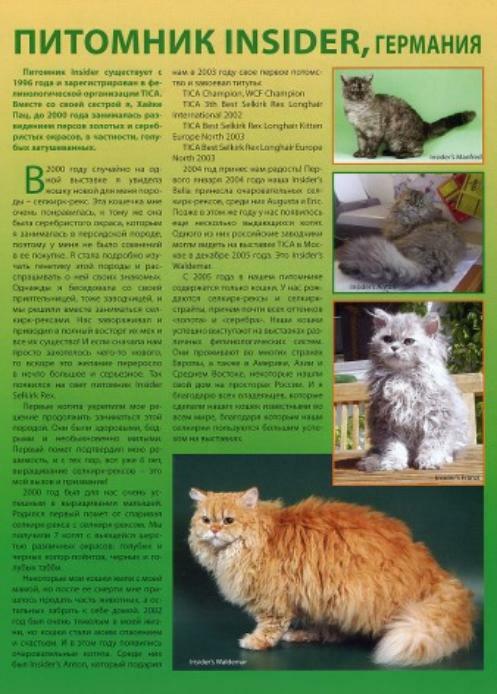 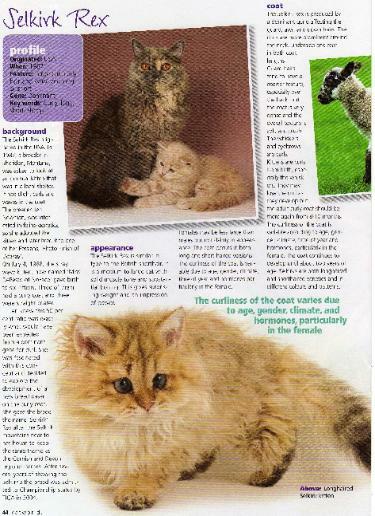 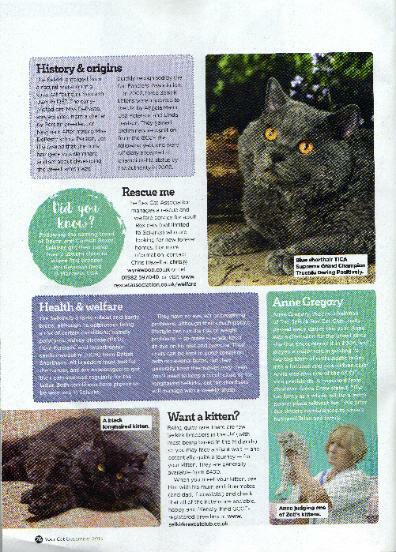 Article Written by myself on the Selkirk Rex Breed and it's current status in the GCCF. 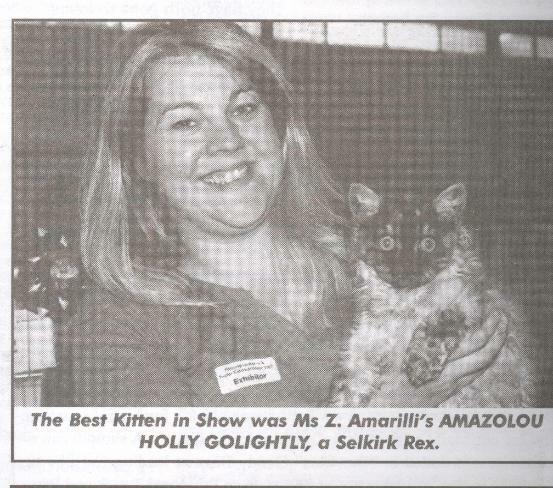 Displaying many photographs of the Amazolou Cats and Show Winners. 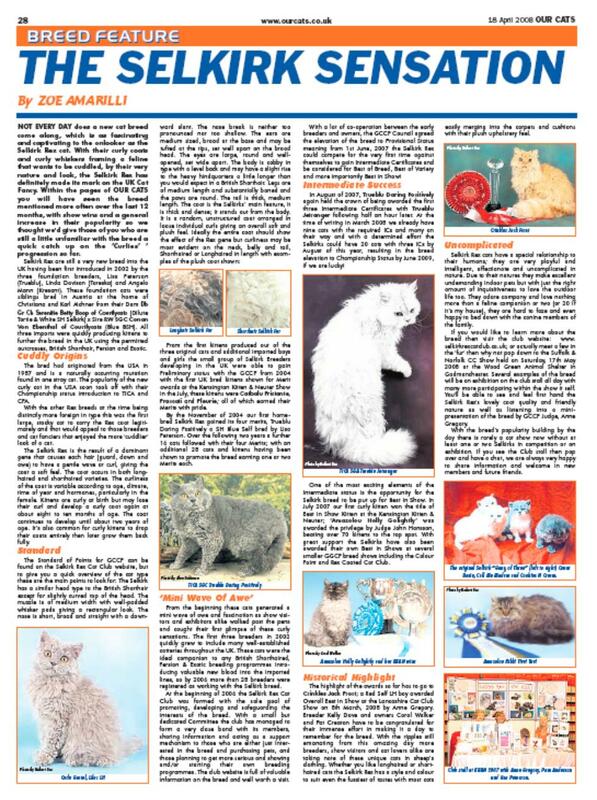 Click on the article for full sized version to read. 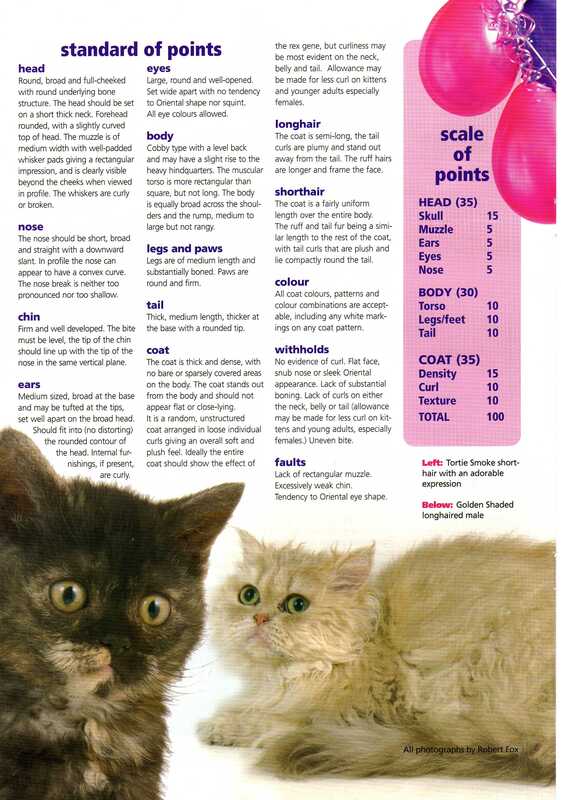 and some basic facts on the breed. 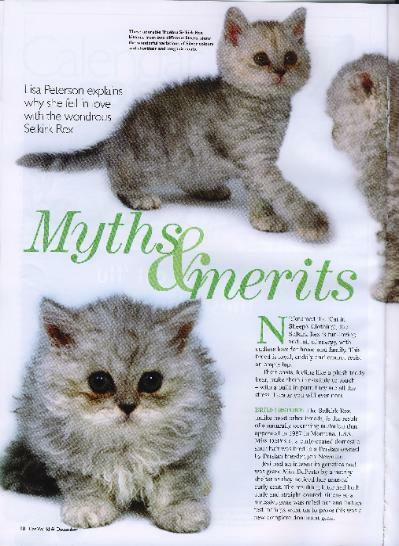 also included in the article. 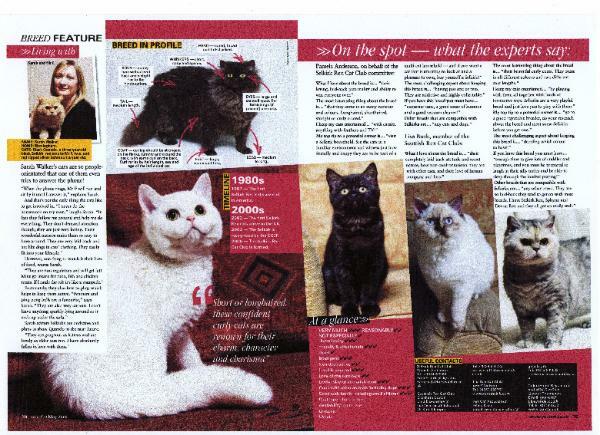 Amazolou Cats featured: Amazolou Ting-Tings far left, Trueblu Jetranger middle right, Amazolou The New Schmoo above, Amazolou Mister Fantastic with owner Sarah walker, inset. 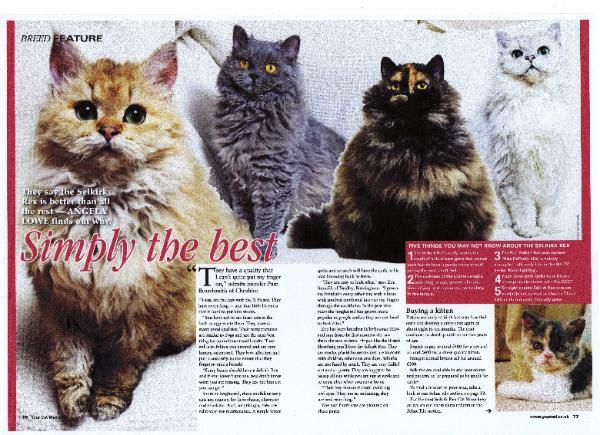 Amazolou gang, including Ting-Ting, Daring and Manfred.